A classic Larch Mtn route with two fun explorations thrown in for good measure. A few miles of backroads on your way down the mountain and a splendid side trip on new paths and a piece of the 40-Mile Loop that lets you avoid the mess around I-84. ## The Way Out Larch Mountain is a 4,000 foot extinct volcano that's a popular climb for serious riders all over the region. I say serious because it's a 14 mile climb to get to the summit. *(You'll note that this particular route stops four miles from the top of the climb. That's because the County closes the road during winter with a locked gate at mile marker 10. )* To get there, find your way to **NE Marine Drive** and head east. From my house in North Portland, I like to take N Vancouver Ave north, then go under NE Martin Luther King Jr. Blvd and connect to NE 6th Ave. Stay on Marine Drive for about 13 miles. 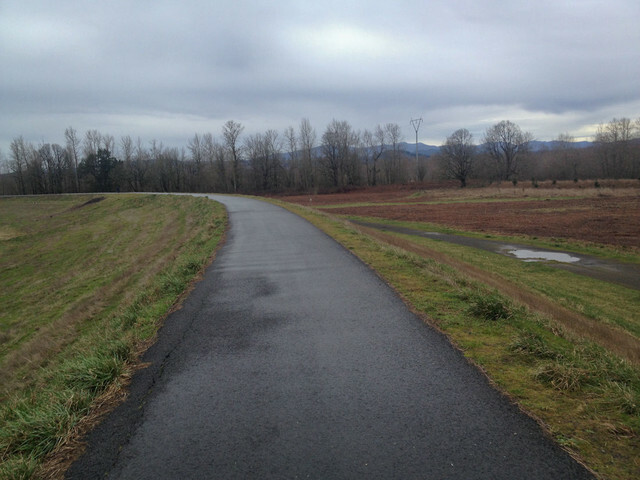 Remember to take every chance to get off the main road and use the paved paths, especially the new one as you approach Blue Lake Park. 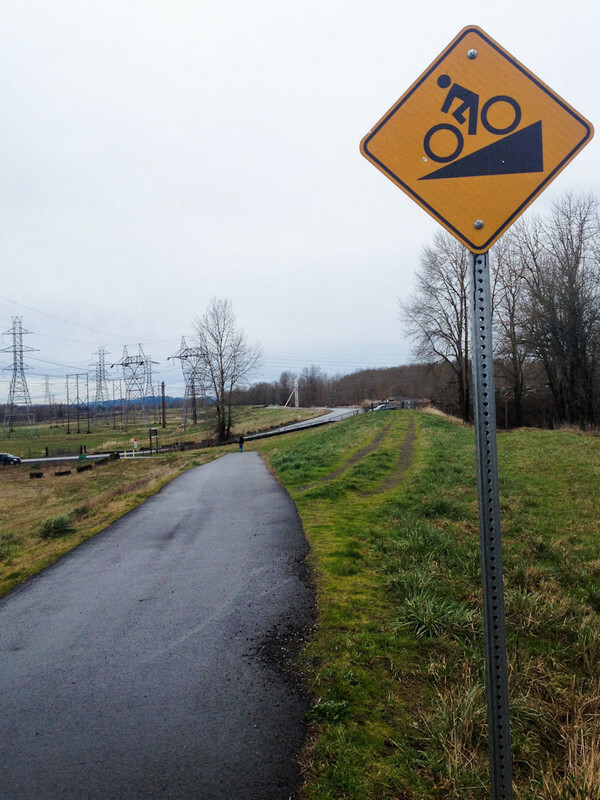 Marine Drive will "T" into **NW Frontage Rd** on the outskirts of Troutdale. Take a left and head east for just a mile past fast food joints and truck stops. Then turn right (south) onto **Graham Road**. Your next turn is a left (east) onto the **Historic Columbia River Hwy** (State Route 30). 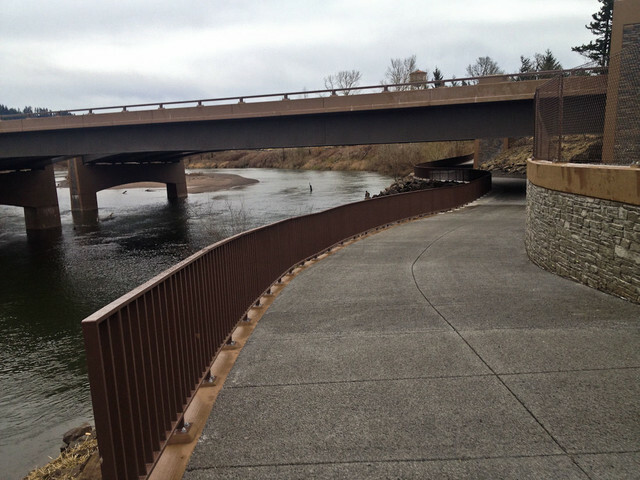 You'll stay on this highway for the next 10 miles as you pedal along the Sandy River and then make your way through a few sleepy old towns. If you need some fuel for the big climb ahead, stop in at the @point[**Corbett Country Market**](3108,0.439) just east of Corbett Elementary School. If you just want water, there's a good drinking fountain just east of the Market at the @point[**Portland Women's Forum**](1792,0.734) viewpoint (which I highly recommend stopping at regardless of your thirst). At about 27 miles into this route, you'll veer right onto **@point[Larch Mountain Road](d,43193.27)** and begin the climb. From here it's 10 miles to the gate during winter, or 14 if you're going to the top. ## The Way Back The descent down from Larch Mtn is awesome, but I like to cut it a bit short and go right on @point[**NE Brower Road**](2499,0.65). There are some excellent backroads in this area that you don't want to miss. Take Brower north about 2 miles than hang a left (west) on NE Haines Rd. Then you've got @slice[3.5 miles of gorgeous riding](2595,271) before you're dumped back onto Larch Mtn Rd. 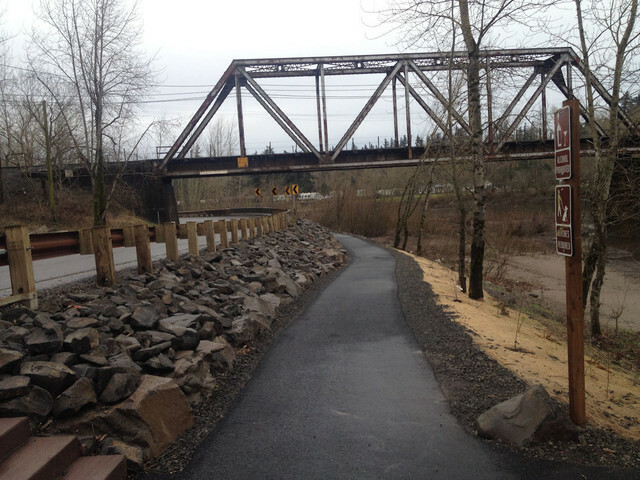 Now you'll retrace your route west on the Historic Columbia River Hwy back to the Sandy River. 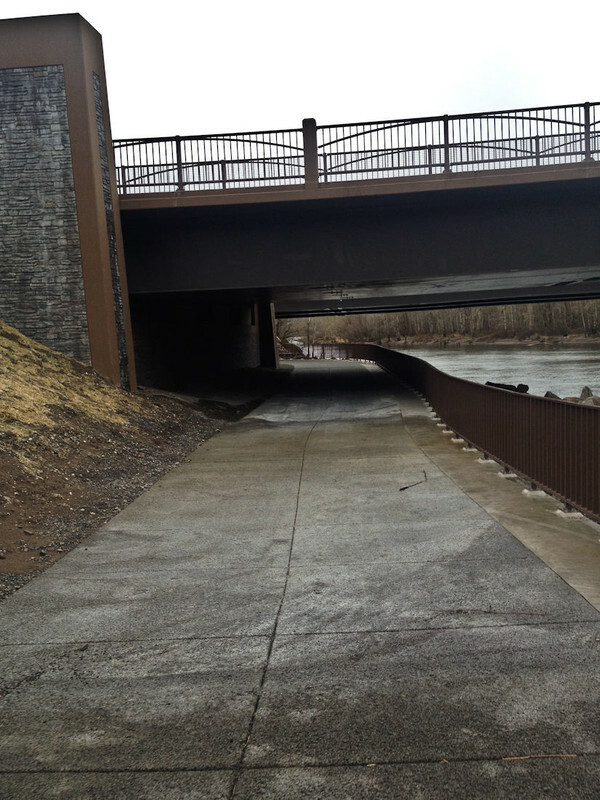 And here's the next bit of extra credit... continue north past the old bridge you came out on and you'll find @point[a newly paved path along the river](3617,0.49) (on your left). It's part of Lewis & Clark State Park. 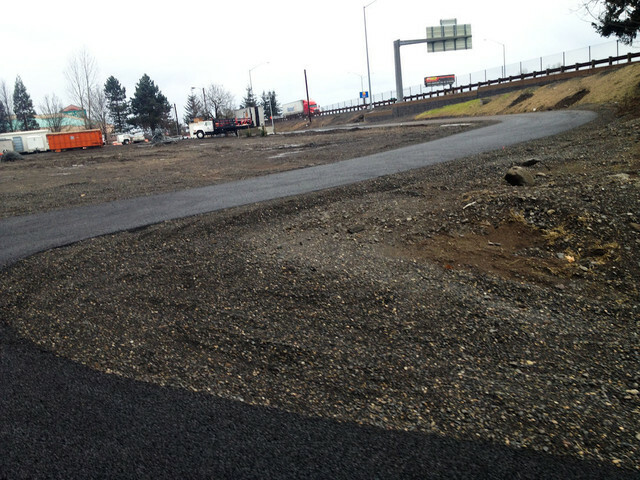 This path will lead you up to a new biking-walking path along I-84. Cross the Sandy on this path, then veer left back down to the river, continuing on the bike path in a corkscrew and go under I-84. This path connects to **NE Harlow Rd** which takes you to NE Graham. Go right on Graham and head north just a few tenths of a mile then jump on @point[another paved path on your right](3666,0.171). This is part of the 40-Mile Loop. You'll stay on the path — first north, then it will veer west — for 1.5 miles until you come to **NE Sundial Rd**. Take that road south until it drops you back onto Marine Drive. From this point you simply retrace your route home on Marine Drive. 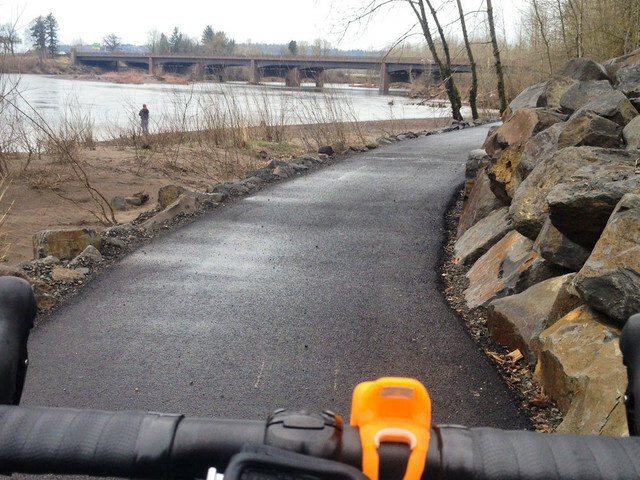 BikePortland.org would love your help bringing this route to a wider audience. 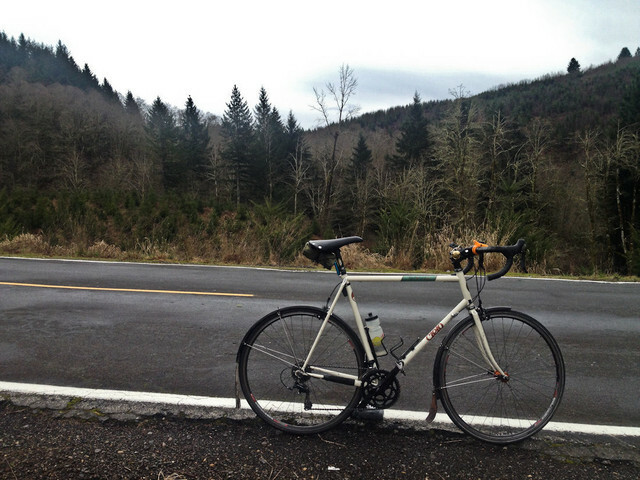 This is my off-road version of "De Ronde PDX." 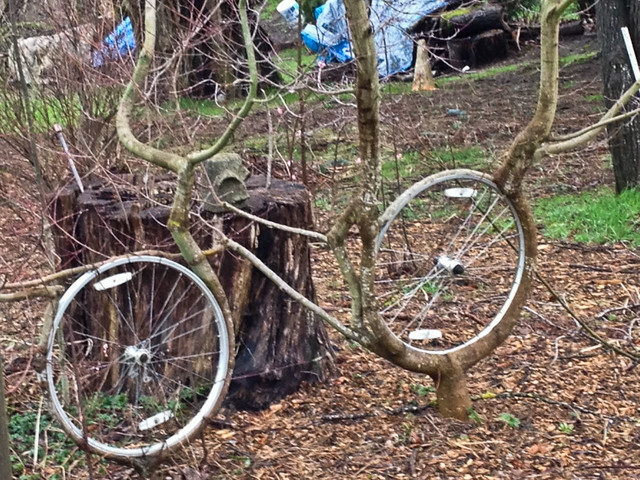 It's 3 of the steepest climbs in Forest Park (with a fourth thrown in for extra credit) all rolled into one. Looking for a quick escape from the office or a memorable weekend jaunt? 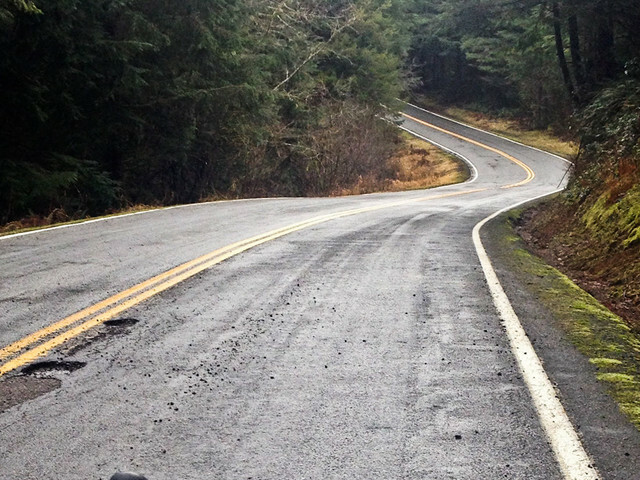 This loop takes you on one of Portland's most iconic climbs and delivers low-traffic roads, windy flats, and breathtaking views.